← How to Get Websites to Serve HTML5 Video to Safari on Mac OS X? 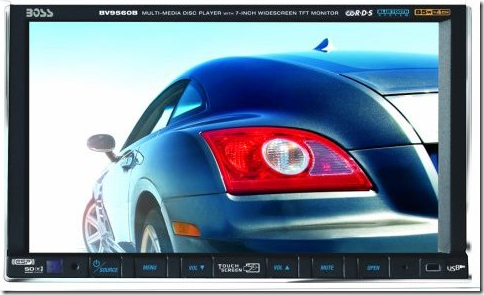 Looking to add a DVD entertainment system to your vehicle this Christmas? This has to be one of the best combo package I have seen packed with incredible features! Boss BV9560B 7-Inch Double DIN Motorized Widescreen Touchscreen In-Dash TFT Monitor/DVD/MP3/CD Combo Receiver with Built-in Bluetooth is an absolute steal at $189.99 with free shipping and no tax on most states! If you are shopping for a DVD entertainment system for a Christmas gift this season, Boss 7” Widescreen touchscreen combo receiver is a no brainer for a fantastic price.